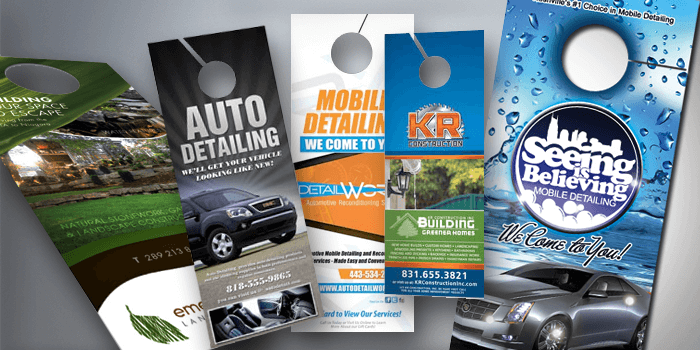 Door hangers are great for home service companies such as pool service, electricians, general contractors and the like. Real estate agents also have found great use for door hangers. Size 4" x 7"4.25" x 11"4.25" x 14"8.5" x 3.5"